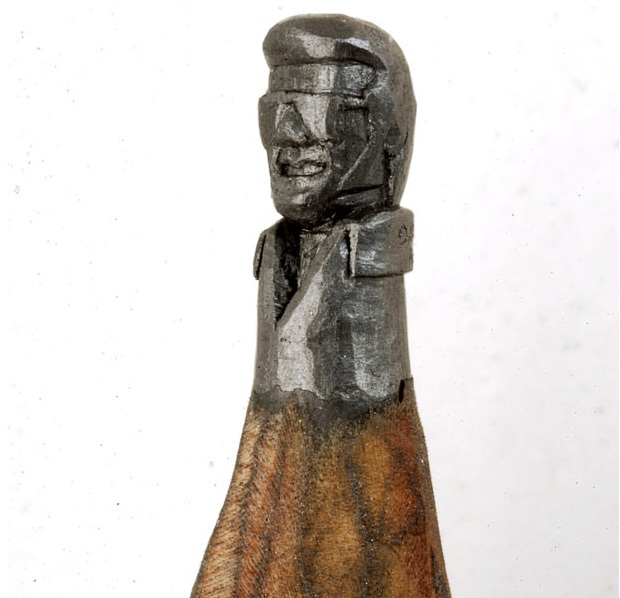 Dalton Ghetti is an artist who makes miniature sculptures using the graphite tip of pencils. Dalton uses three basic tools to make his incredible creations – a razor blade, sewing needle and sculpting knife. He even refuses to use a magnifying glass and has never sold any of his work, only given it away to friends. He said: “I use the sewing needle to make holes or dig into the graphite. I scratch and create lines and turn the graphite around slowly in my hand”.